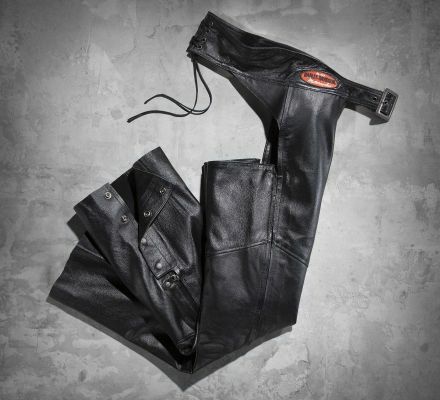 Our basic leather motorcycle chap comfortably hugs your curves in all the right places. With adjustable back lacing and a cuttable hem, the Women's Classica Leather Chap was made to fit your shape and your ride. To complete your riding gear check out the Classica Leather Jacket.